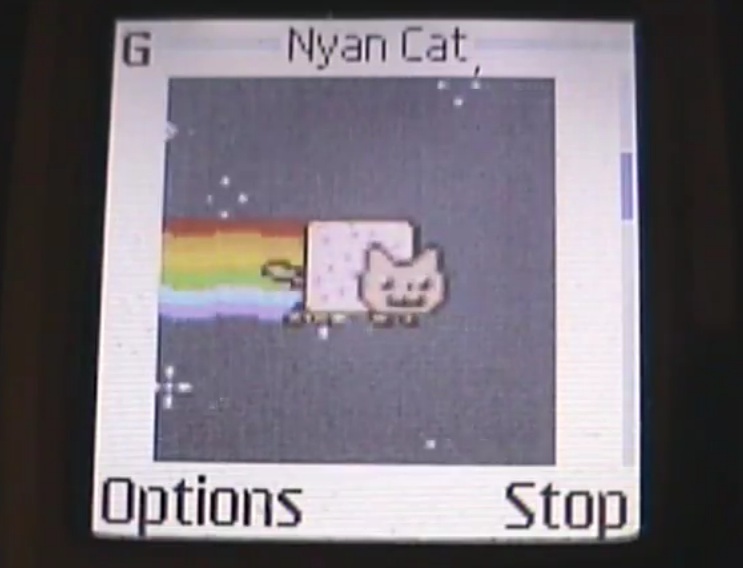 Have you heard of the Nyan cat? Like it or loathe it, this little trance-inducing poptart rainbow kitty has made waves across youtube, ‘inspiring’ all sorts of spoofs and incarnations. This Nokia related one uses the ancient Nokia 3120b – pairing up a gif with a MIDI sequence and sent as MMS.